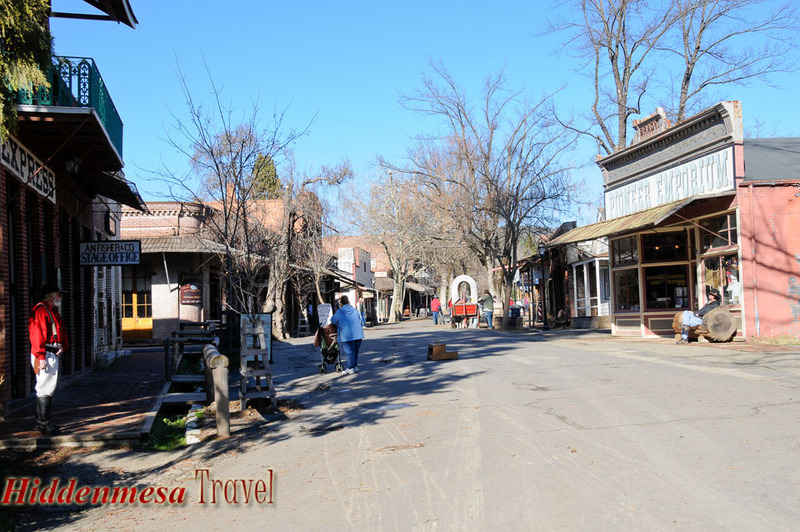 Except for possibly the pavement in the street, Main Street Columbia looks much like it did in the gold rush days. 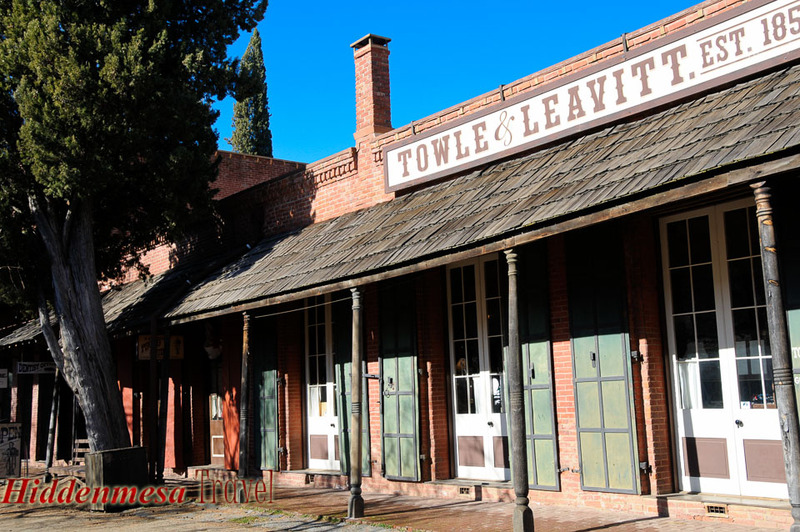 Typical businesses along main Street in old town, Columbia state Park, California. 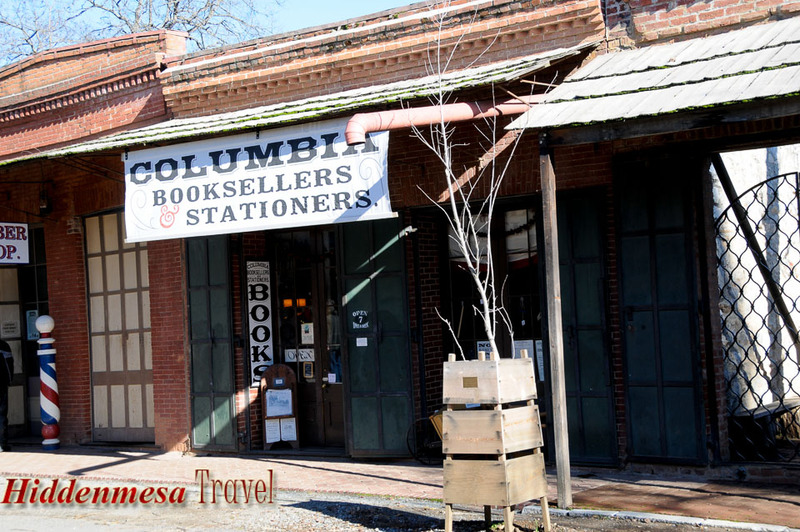 There's a book store on main Street in Columbia State Park that's worth a visit. 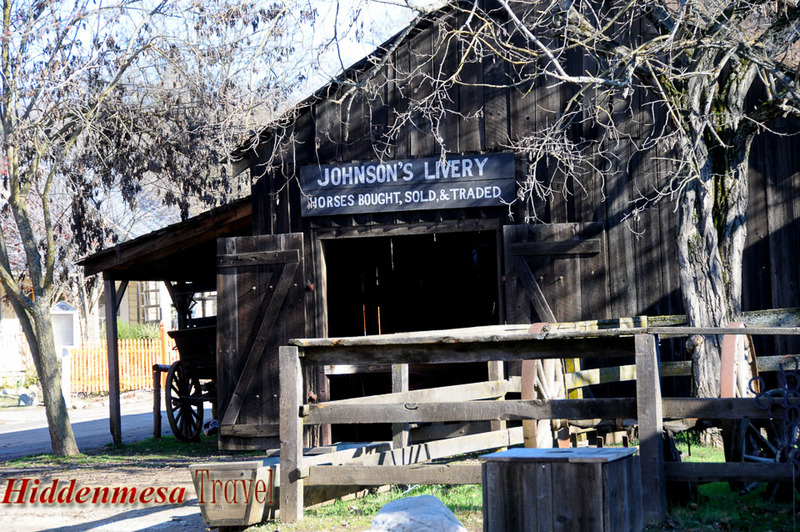 There's a working blacksmith shop in Columbia. 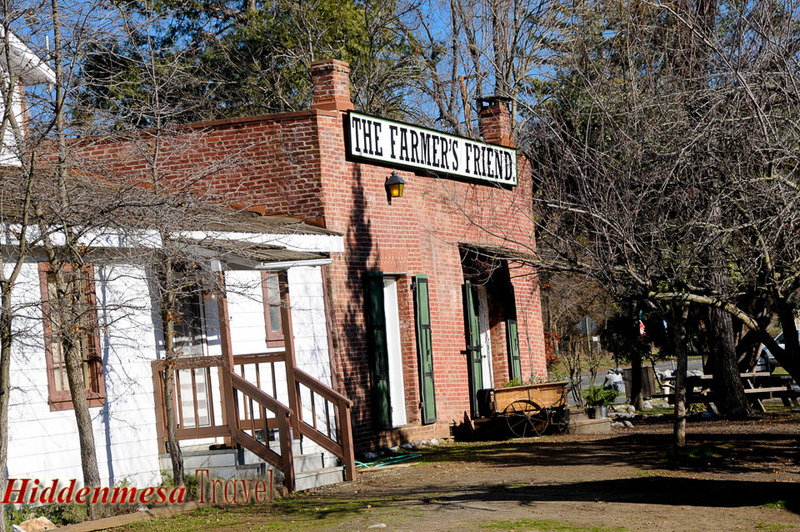 A restored Livery stable in Columbia State Park in California. 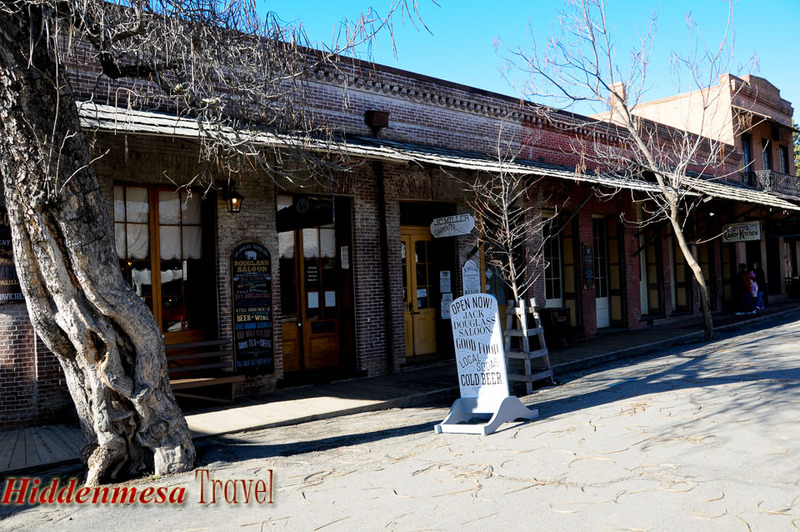 More storefronts along Main Street in Columbia State Park. 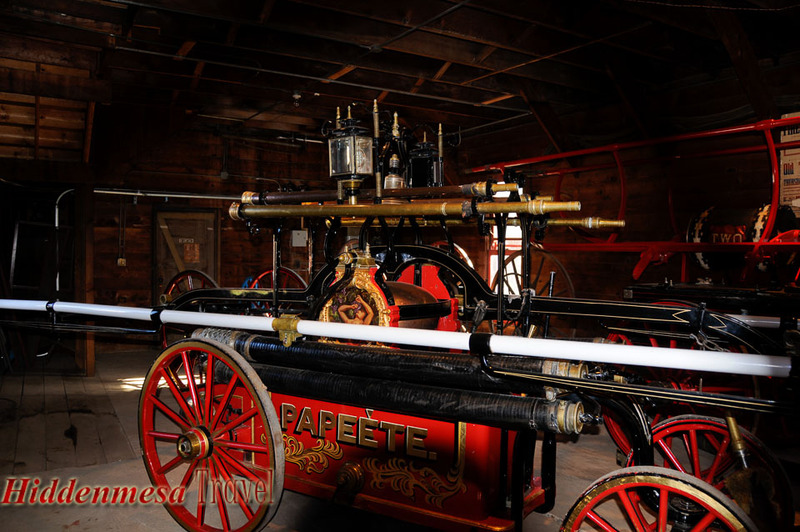 You can't get too close, but you can view these restored fire engines at the Fire Department in Columbia State Park, California. 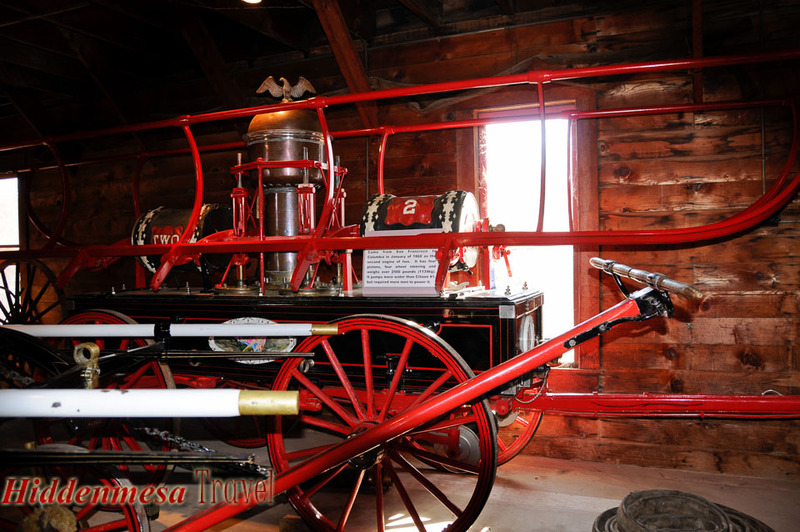 This fire engine was purchased in 1852. 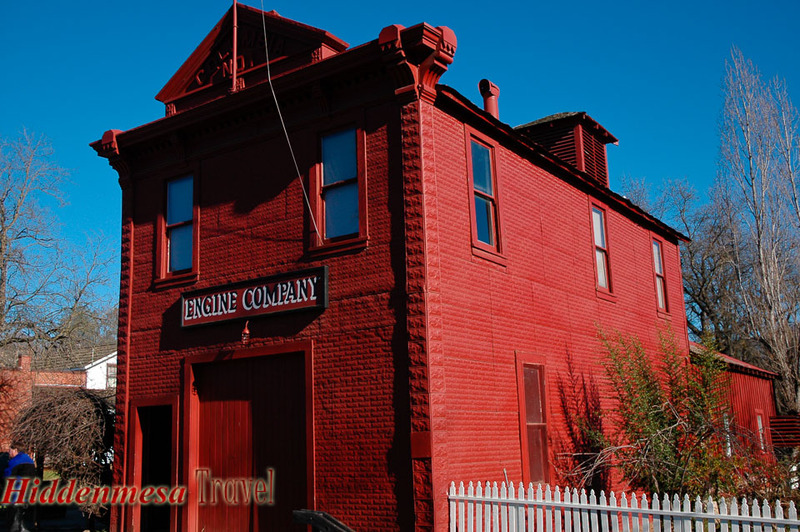 It was originally built for the King of the Sandwich Islands, but the sailors who were to deliver it jumped ship in San Francisco in search of gold, leaving the engine stranded. 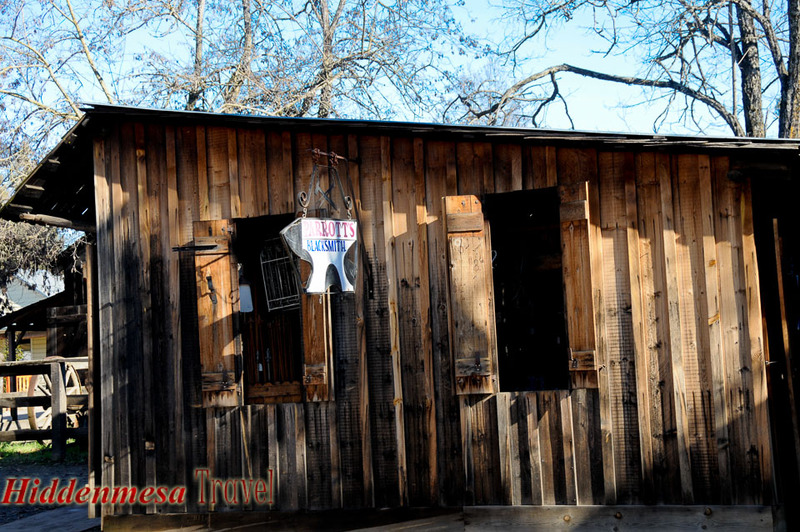 Some buildings in Columbia State Park are in less repair than others. Volunteers dress in period attire as they decorate the streets of Columbia State park, answering questions and telling stories. 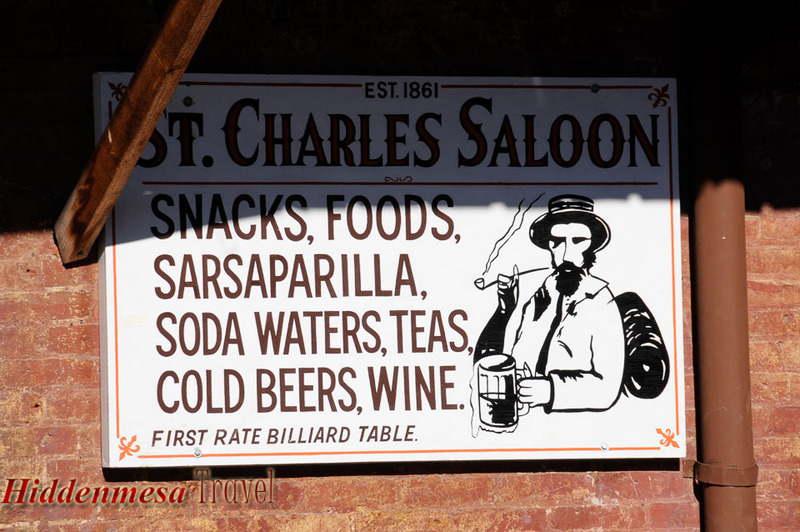 Selling all the favorites of the 1800s', the St. Charles Saloon is an example of how some folks made their money the old fashion way during the gold rush in California. 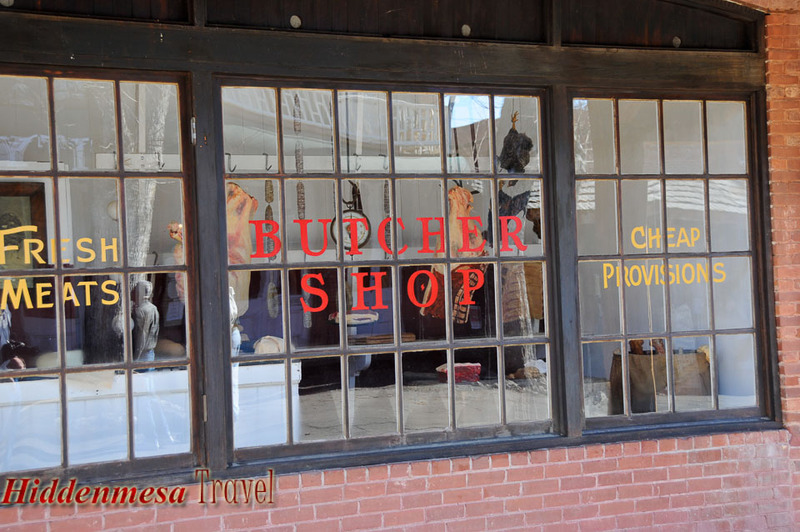 Imagine what a butcher shop must have been like in 1860. 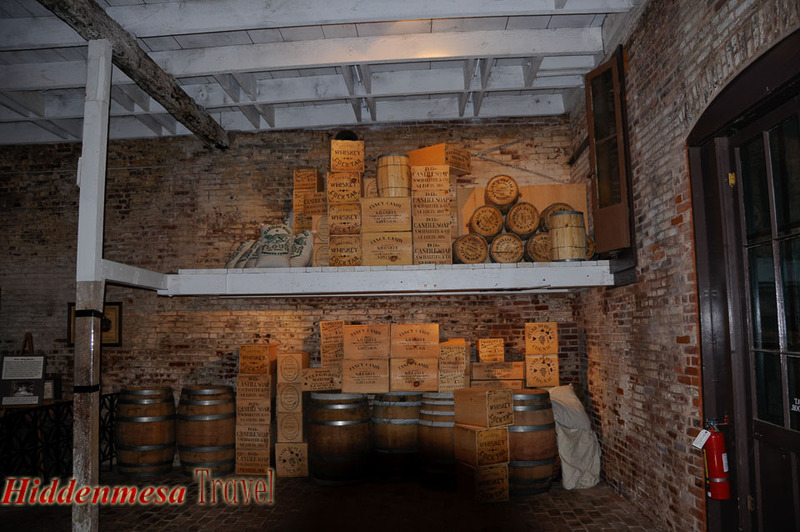 This might have been a warehouse in Columbia, in the 1800s'. 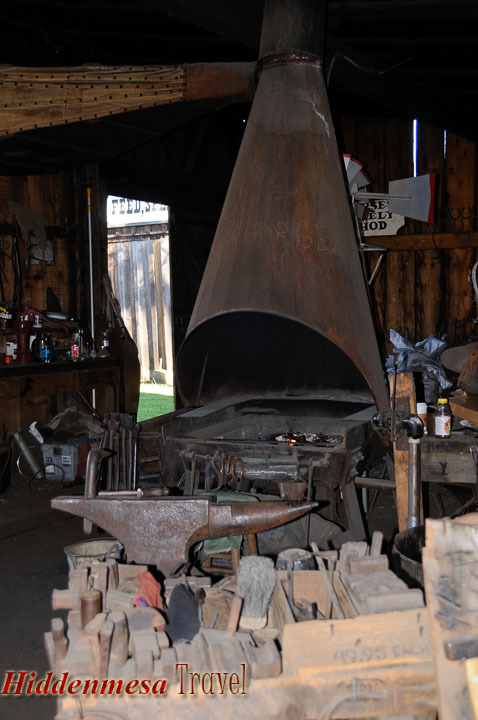 Inside the blacksmith shop is an anvil and fire for working iron. 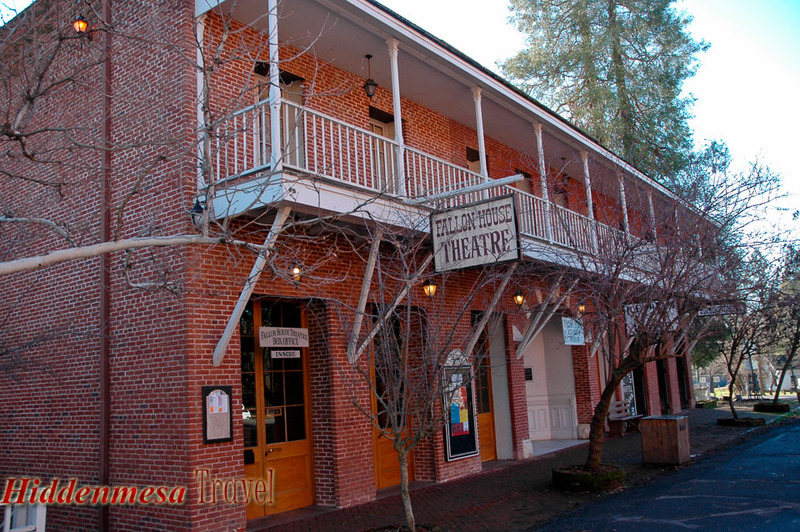 The Fallon House Theatre is still in use today for performances and community meetings. 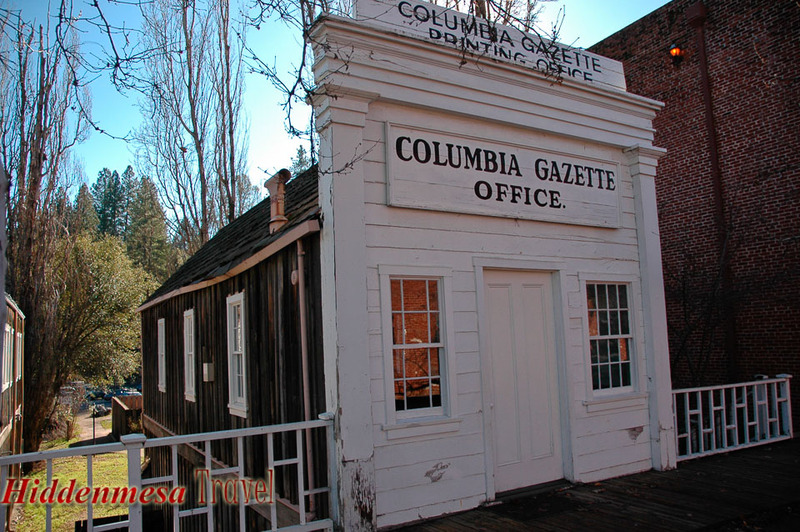 The original Columbia office Gazette produced a local newspaper. Today it's used for much the same purpose, printing information about the State Park. 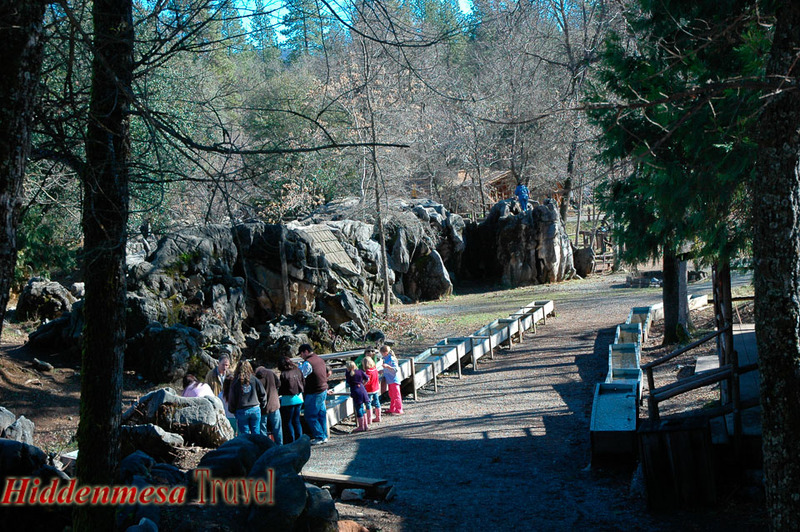 You can try your luck at gold panning along this sluice box just outside of town at the Columbia State Park in California.